I needed something to bring to a breakfast meeting for a group of, I guess you could say, community organizers. It’s a group of awesome women who meet to throw my community’s big 4th of July celebration. As a food blogger, I feel a certain bit of pressure to bring something great. Not just good, but amazing. Most people aren’t low carb, so I choose to splurge at these events. Hunting for something to bring, I came across something called a “breakfast casserole”. Essentially it was bread, eggs, cheese and ham. Eh. Just didn’t speak to me. But it got me thinking. How could I put a Cajun spin on it? I love all things Cajun. 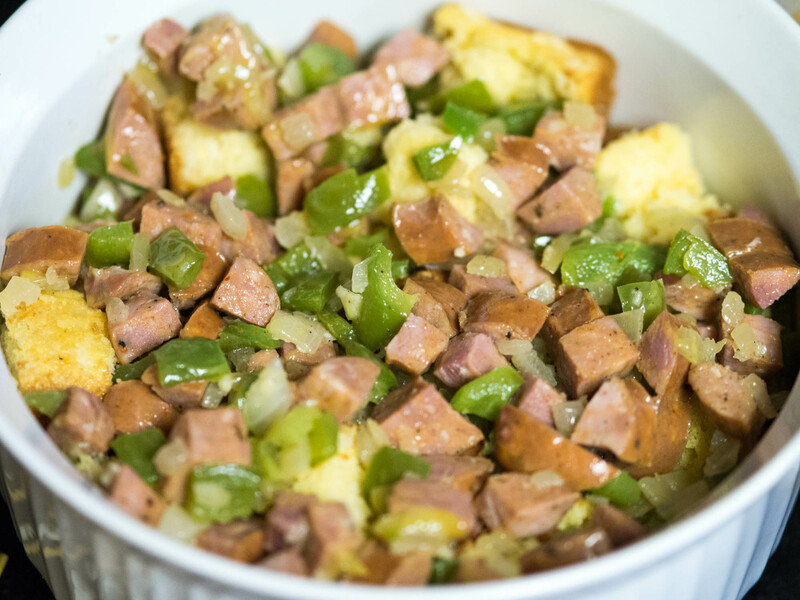 So, I began by subbing out the bread for cornbread, the ham for blazing hot andouille sausage, added onion, green pepper and garlic and BAM! Cajun Breakfast Souffle. This dish is easy, and can be made ahead and assembled the next morning. It’s pretty great reheated, too. It travels well. 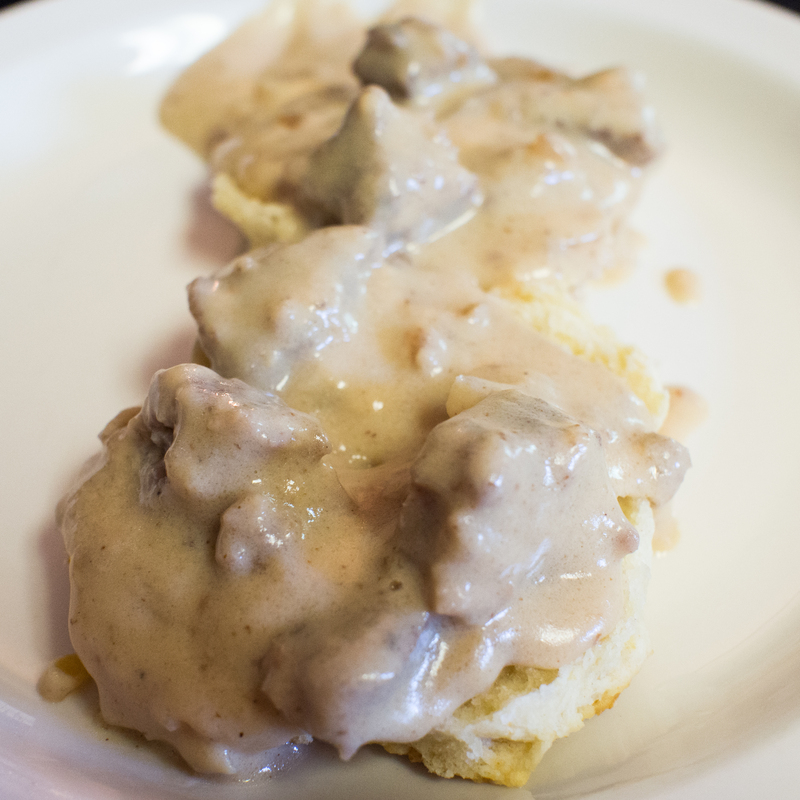 This is the perfect “bring to brunch” dish. I cannot emphasize the ease of this dish. The only hard part is deciding whether you are making the cornbread or not. I opted to make the cornbread from a boxed mix, but you could easily buy cornbread and make it work in this recipe. I know that boxed mixes aren’t fantastic (in my defense, there were all natural ingredients), but I can’t get my cornbread recipes to work. I’m cornbread challenged. Grease a 2-2 1/2 quart baking dish. Place cornbread into dish and set aside. In a skillet, heat olive oil over medium heat. 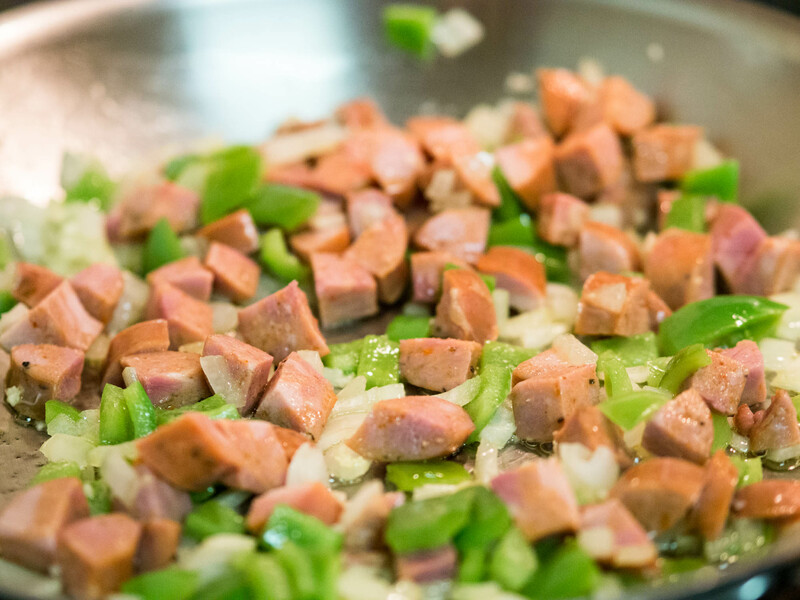 Add onion, pepper and andouille and cook until the onion is translucent and the green peppers are soft. Stir occasionally. Add the garlic, salt and peppers. Incorporate the spices. Set aside to slightly cool. In a small mixing bowl, combine the eggs and the milk. Add the cheese and stir until incorporated. Make ahead notes: You can make the cornbread ahead of time (or cut it into squares ahead of time), as well as the pepper mixture. Store the cornbread in an airtight container and place the pepper mixture in the refrigerator over night until you are ready to make the dish. 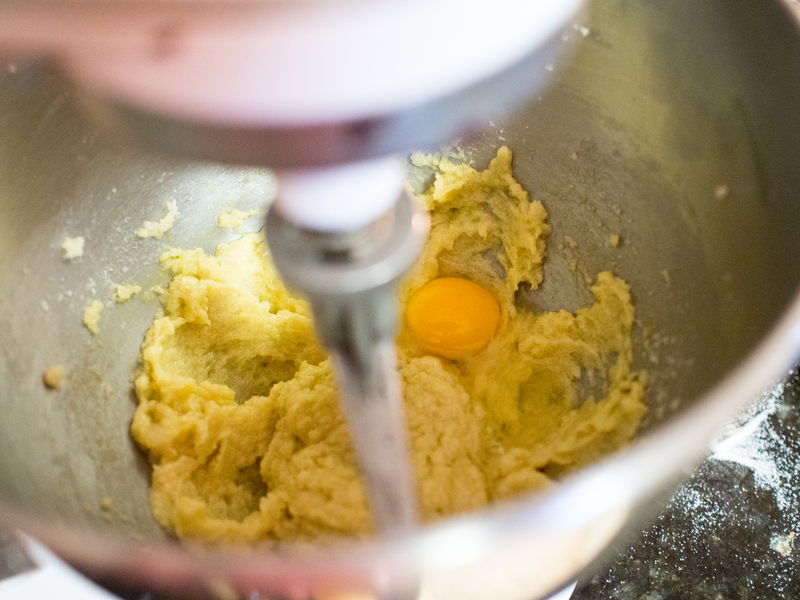 You can also let the egg mixture “soak into” the cornbread for an hour or so before baking. This entry was posted in Breakfast, Breakfast/Brunch and tagged andouille, Breakfast, brunch, cajun, casserole, cornbread, easy, eggs, souffle on July 2, 2014 by dawn of food. I have a love hate relationship with breakfast. All of the best “breakfast” food is chock full of carbs. As someone who shouldn’t be indulging in carbs, this presents a lot of problems. Breakfast is where one can shamefully eat something that’s a dessert and call it a “meal”. You can’t get away with waffles, pancakes, or French toast at lunch. But breakfast? No problem. Bacon and fatty sausage are paired with such indulgences and it’s perfectly acceptable. What other meal can pull this off? Not one. You have a side of bacon at dinner, you better be eating “breakfast for dinner”. Breakfast is such an anomaly. Eggs and sausage is one person’s low carb breakfast and another person’s health nightmare. On the flip side, one person’s oatmeal is a heart healthy breakfast for some people, but a low carb eater’s horror show. In other meals, you just don’t get so much controversy. The other meals have a sense of balance. You could be low carb and low calorie/fat with a salad. Or grilled fish or chicken. There is more overlap and options for all types of eaters. My kids LOVE breakfast. Doughnuts, waffles, pancakes, french toast, regular toast and muffins are all begged for in large quantities. From a practical standpoint, I love waffles and muffins. 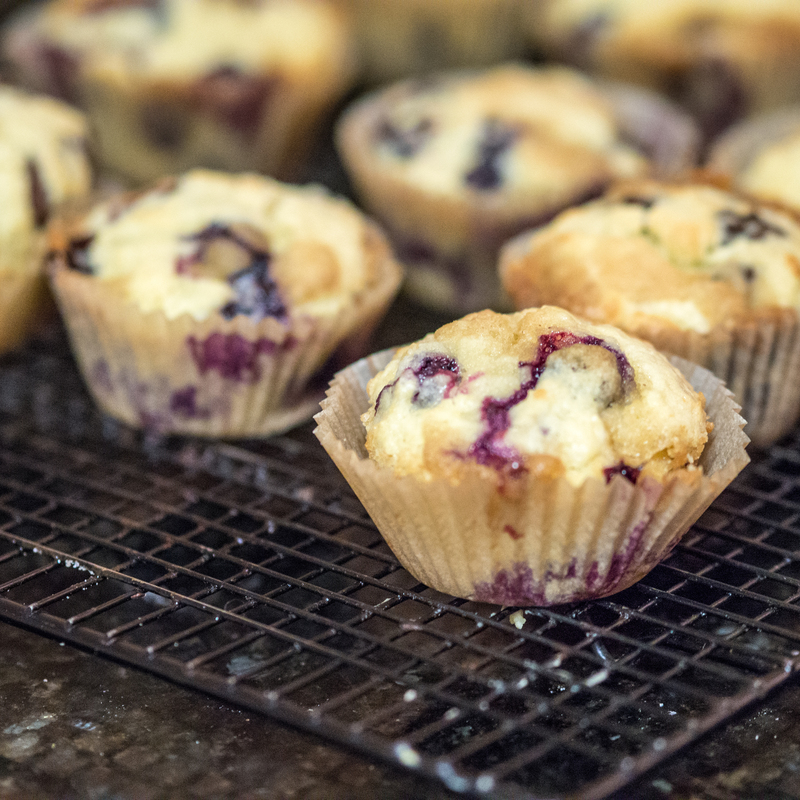 They keep well, make lots in a short amount of time, and can be reheated easily for breakfast during the week. Add a breakfast meat cooked the night before and reheated and morning breakfasts are a breeze. But, the kids grow tired of repetition and insist on pancakes. I am just not a fan. The first batch comes out meh and it takes FOREVER to cook them. Until, of course, the pan becomes too hot, then the pancakes burn. Saving them for another day? Unless you are going to cut squares of parchment out and place them between each pancake, better not freeze or refrigerate them. They meld into a large mass never to be separated again. My waffles have never betrayed me in such an unforgivable manner. Ditto my muffins. But, the heart wants what it wants. Plus, I had sour cream to spare. And maybe one of my kids was boycotting waffles and guilt wouldn’t let me send her to school with nothing in her stomach. So, I when I came across a really old recipe for sour cream pancakes (1850s! ), I caved. As an aside, I love when people write about how they “thought” to add sour cream to anything and call it new or improved. Um, people have been cooking for a really, really long time. Unless this is some kind of crazy pancake foam or sous vide, it’s not new. In The Great Western Cookbook by Angelina Maria Collins, written for Western Housewifes, Mrs. Collins details her very own pancake recipe in one titled: Mrs. Collins’ Batter Cakes. I was particularly interested in this recipe as it would make use of my left over sour cream. I made tacos, and you just don’t need that much sour cream for tacos. I ALWAYS have leftover sour cream. The recipe is fairly modern, as Mrs. Collins used several interesting techniques, for the time, to make very light pancakes. First, she separated the eggs, and whipped the whites “until frothy”. Aerated egg whites, if the bubbles are left intact through careful folding into the pancake batter, will create a very airy confection. She also employed some chemical assistance. In the days before baking powder or soda, there was, for a brief time, “saleratus”. Instead of sodium bicarbonate (modern baking soda), saleratus was usually potassium bicarbonate. Using a bicarbonate with sour cream, which is acidic, and heat would also create air bubbles, also helping to lighten the pancake. 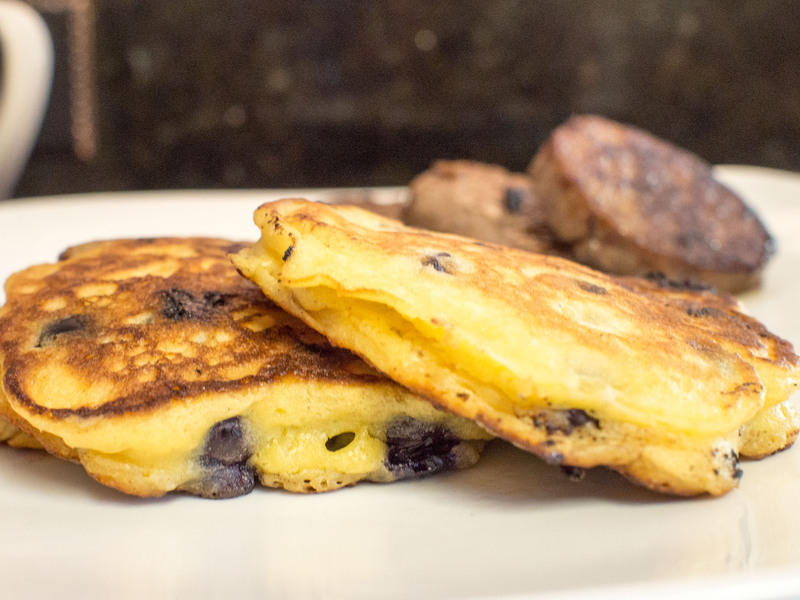 Nowadays, people largely rely on baking powder or soda alone to lighten the pancakes. Take four eggs, beat them separately, and to the yolks add of pint of rich milk, beat in enough flour to make it into a thick batter. Put in a tea-cupful of sour cream, a tea-spoonful of saleratus; add this to the batter, mix in lightly the white of the eggs, beaten to a froth, and bake on a hot griddle like buckwheat cakes. 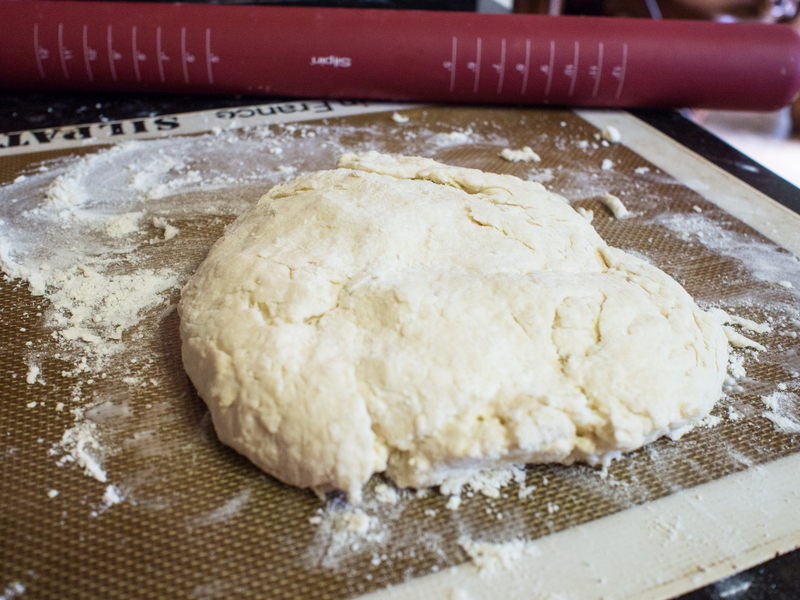 I’ve updated it slightly to include a bit of salt and vanilla and changed some of the ratios because, well, “enough flour” just isn’t a really good descriptor for a blog recipe, is it? 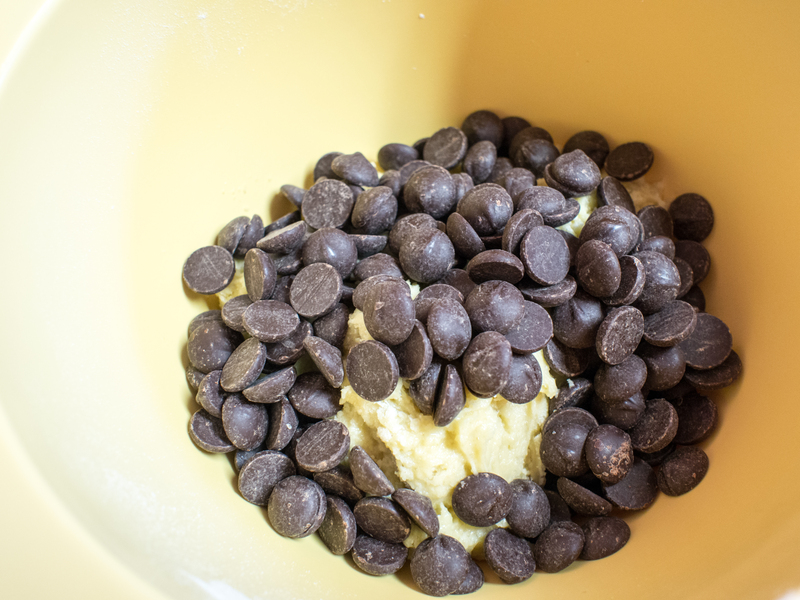 In a medium mixing bowl, sift together the flour, sugar, baking soda and salt. Set aside. In a small mixing bowl, combine the sour cream, whole milk, egg yolks, melted butter and vanilla. In a separate bowl, Whip the egg yolks until soft peaks form. 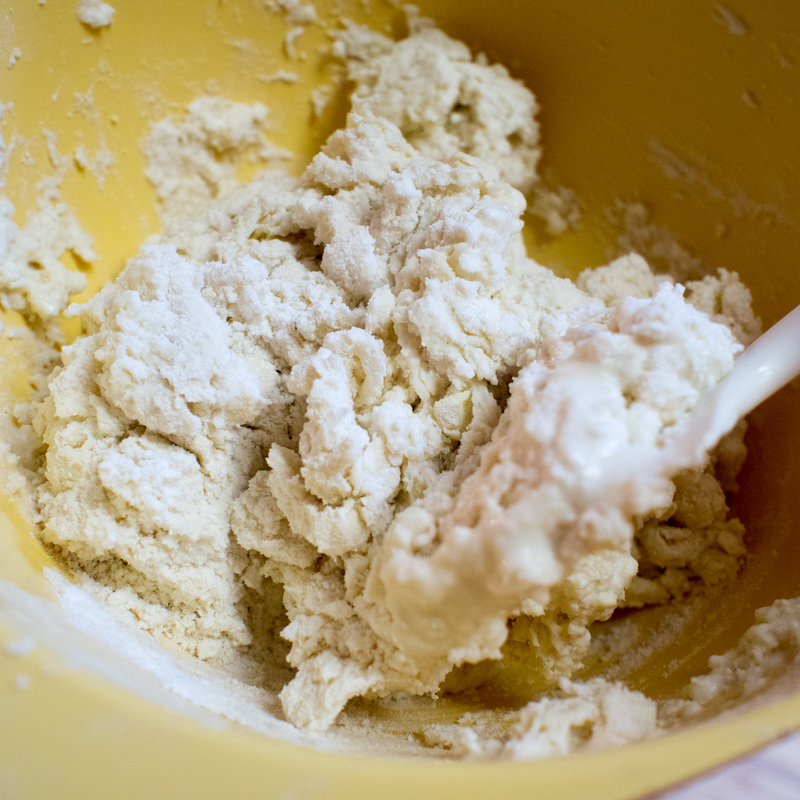 Add the sour cream mixture to the flour mixture and just combine (batter will be lumpy and that’s ok). Gently fold in the egg whites. 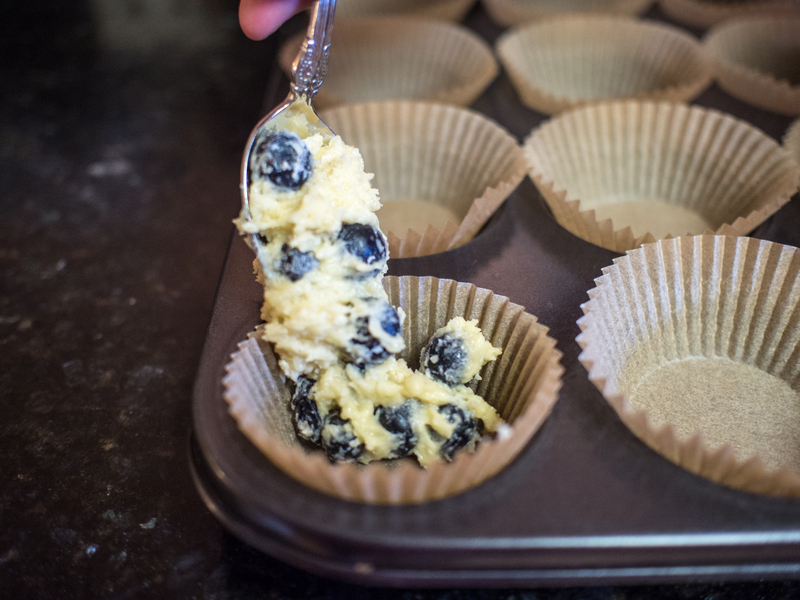 If desired, fold in the blueberries. 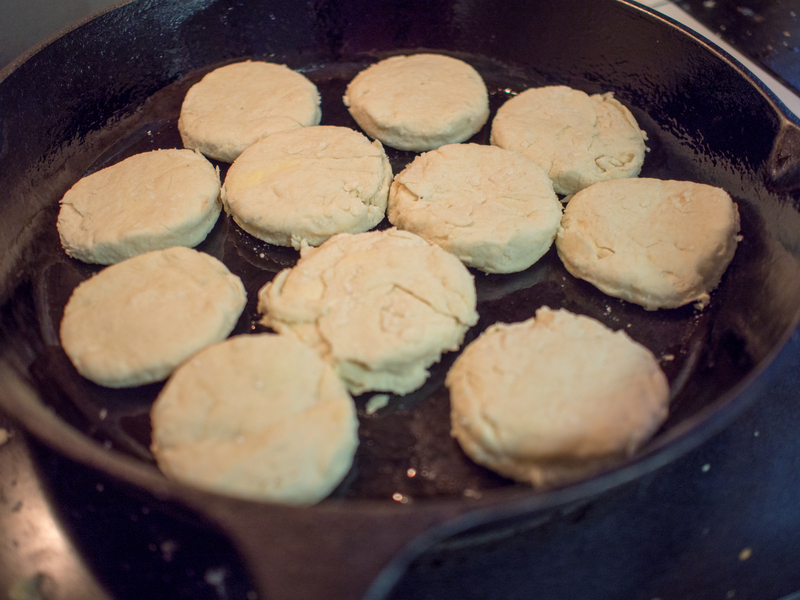 In large non-stick pan, or flat griddle, melt enough butter over medium heat to coat the pan. I like to use clarified butter or ghee for this step, but butter works well. 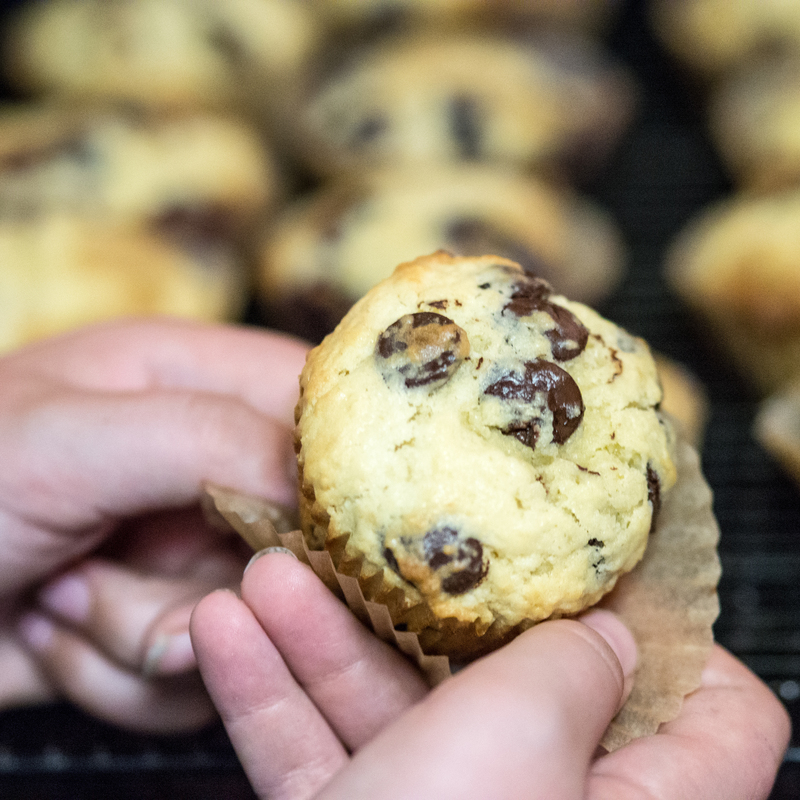 You may need to add more as you work through the batches. It just has to be watched because it has a tendency to burn. 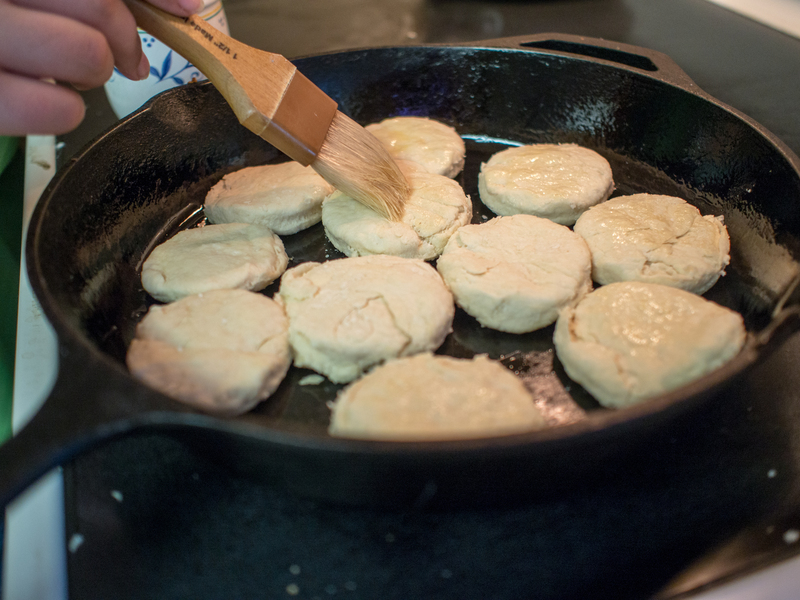 When the griddle is evenly heated, add about a 1/4th a cup of batter to the griddle. When the top of the pancake is dotted with bubbles and the bottom is brown, flip over and cook for another minute or so. Remove from the griddle and serve. Alternatively, put the oven on low (170-200 degrees Fahrenheit), and keep the pancakes in the oven until needed. This entry was posted in Breakfast, Breakfast/Brunch and tagged Breakfast, brunch, pancakes, Sour cream on June 20, 2014 by dawn of food. I’m on a roll with recipes that aren’t really good for you. I had blueberries and cream cheese that needed to be used and thought: what can I do with these items? Around the same time, my son asked for a hiatus from waffles for breakfast. So, despite having the brownies, I figured I would venture into coffee cake land. I love coffee cake, it’s an acceptable cake to eat for breakfast! What made this cake appealing was really the fantastic chunks of cream cheese dotted throughout. 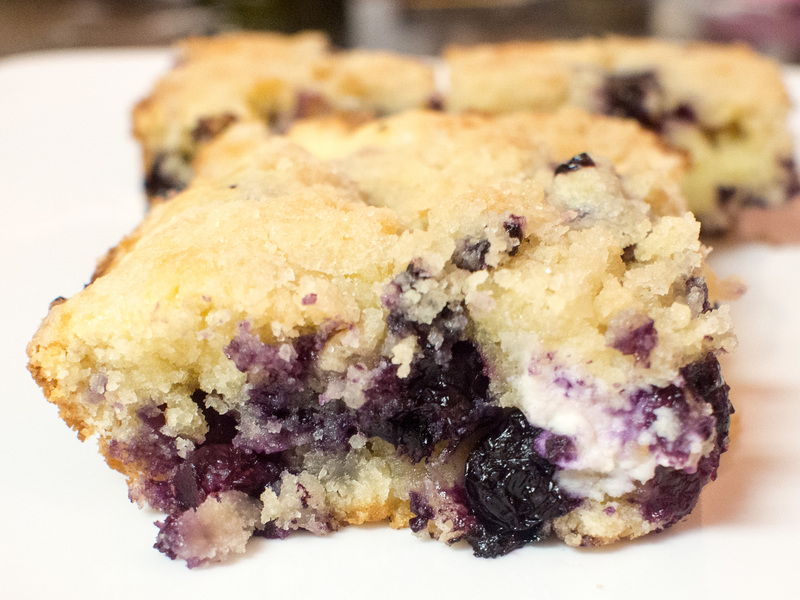 The cream cheese adds a sweetness and texture that is so unique and incredibly good to contrast with the tart blueberries. 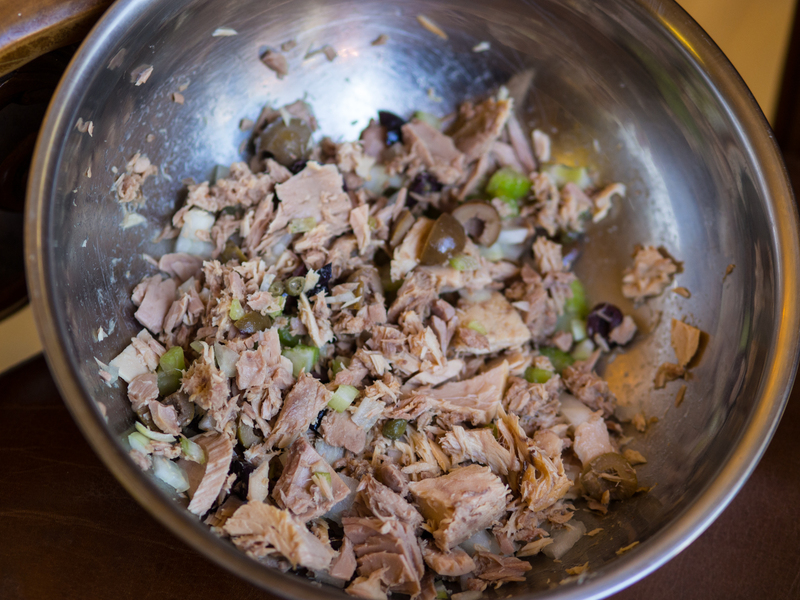 As always, this recipe is very easy and straightforward. No surprises. I saw this recipe on tasteofhome.com and thought I would give it a go. I added lemon zest and lemon juice for a bit of a bright pop. 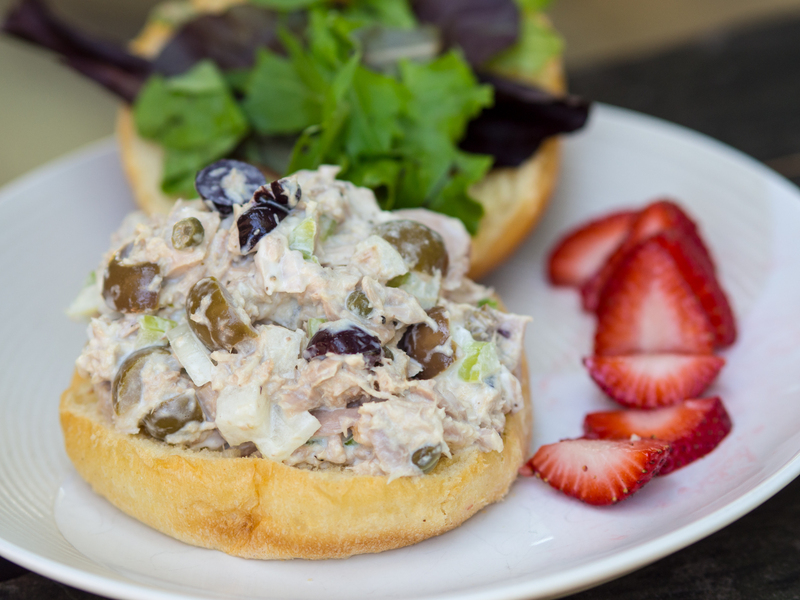 My son loved this recipe and my husband said it was amazing! So overall, this was a really big hit. Preheat Oven to 375 degrees Fahrenheit. Grease an 8 inch square baking dish. 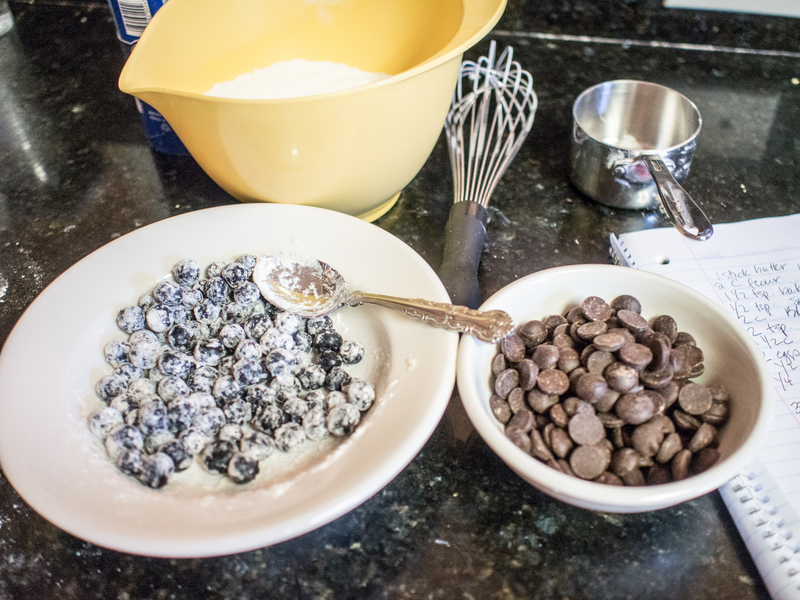 gradually add to creamed mixture alternately with milk. 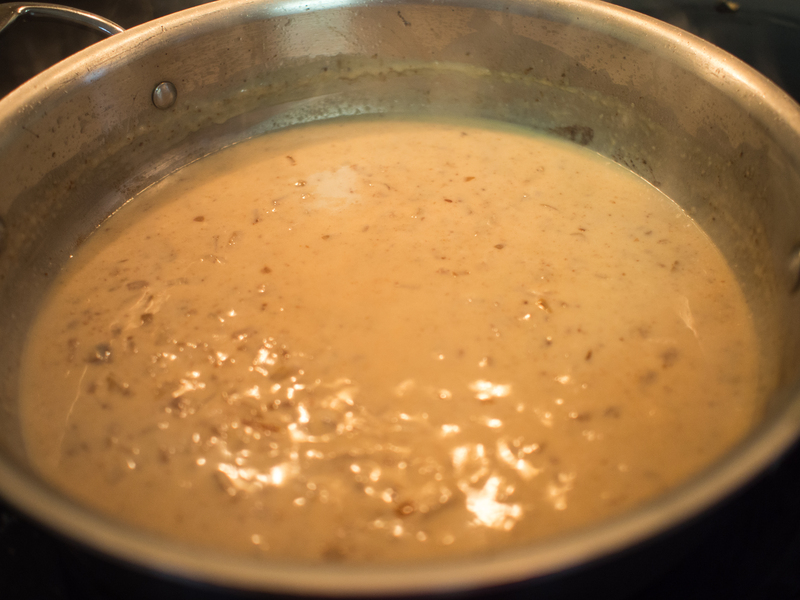 cheese into creamed mixture (batter will be thick). Transfer to the greased dish. until crumbly. Sprinkle over batter. 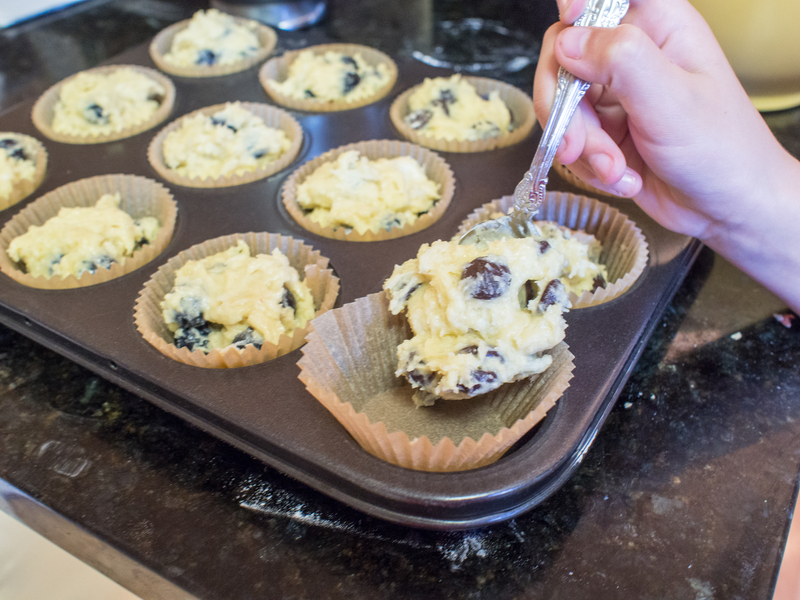 Bake at 375° for 40-45 minutes or until a toothpick inserted near the center comes out clean. Cool on a wire rack. 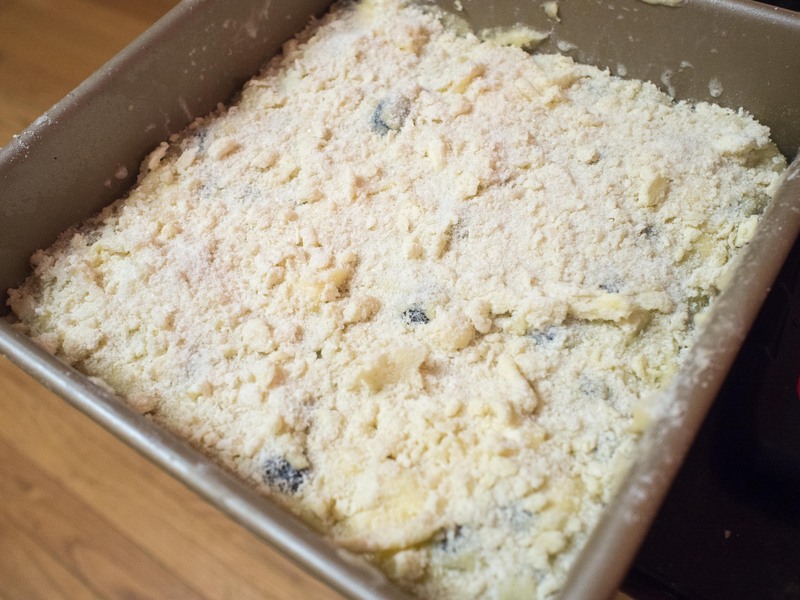 This entry was posted in Breakfast, Breakfast/Brunch, Dessert and tagged Blueberry, Breakfast, brunch, coffee cake, Cream cheese, easy, lemon, zest on February 10, 2014 by dawn of food. I first saw this dish made on Alton Brown’s show Good Eats and I thought it was pretty cool. It’s not really a good entertaining dish in that it doesn’t serve a bunch of people and for breakfast, and it’s pretty labor intensive. However, if you are serving a smallish group or a family, this is a pretty impressive dish. This dish resembles a few others. When eating this dish, you get hints of the influence of German Pancakes and Yorkshire Pudding. Crispy in parts, soft and soufflé-y otherwise. On the whole, a fantastic addition to your breakfast regime, if you are eating carbs/gluten/other stuff that is likely not good for you. 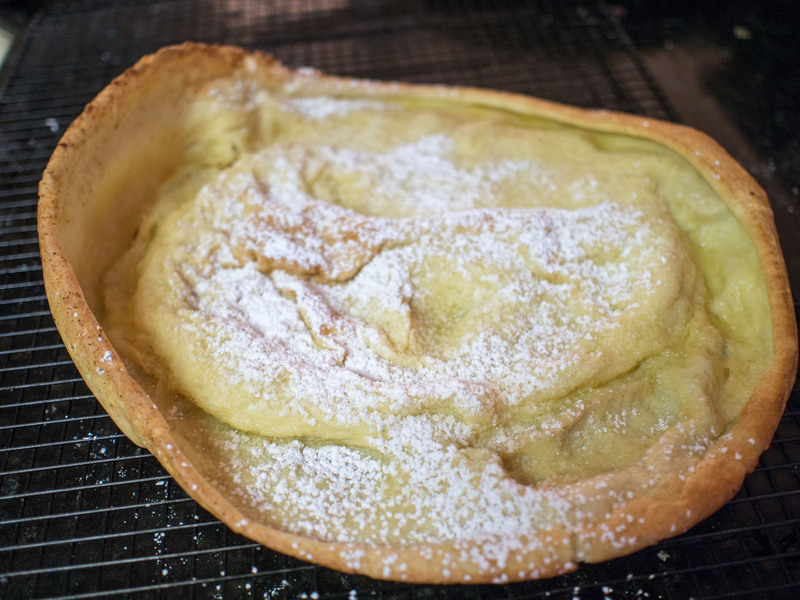 As for the history of the Dutch Baby, the recipe supposedly has its origins in Manca’s Cafe in Seattle. 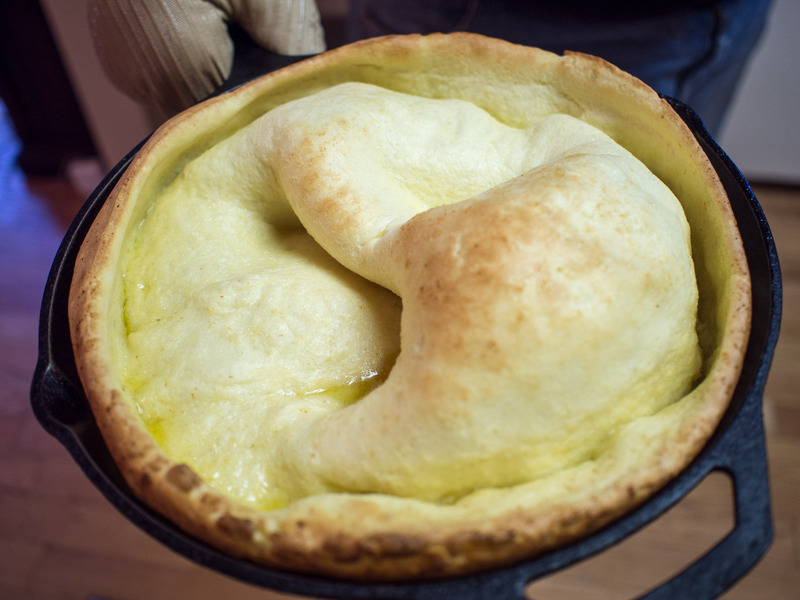 A recipe for the Dutch Baby from Manca’s ran in Sunset Magazine in 1971, making it a popular dish. There are LOADS of recipes now for this dish. I stick to a fairly classic version that uses a cast iron skillet. In order for this recipe to work, you have to preheat the pan, not just the oven. Also, as you’d like to remove the Dutch Baby from the pan when finished, you want to employ pans or methods that aren’t prone to sticking. I like cast iron for this task for a variety of reasons. It’s naturally non-stick if seasoned correctly. But most importantly, I don’t trust coated non-stick pans in high heat environments. I won’t say I never use non-stick pans, but I especially don’t use them with heat over medium. With cast iron, no worries. And, while I could use my stainless steel and lots of oil, I really don’t want to take a chance. It’s not like you get any redos on this recipe. It’s pretty much a one shot deal. It’s an easy one shot deal, however. My recipe was inspired in part by a recipe I found on Food Network. 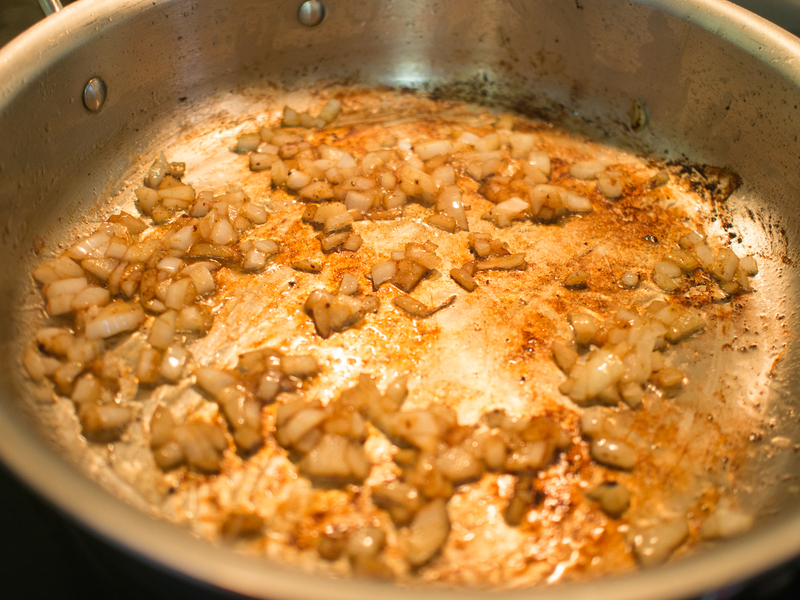 Place clarified butter in a cast iron skillet (about 9-10 inches) and place skillet into the oven. You may ask if you can substitute butter. I’m leery of butter for this recipe, as this cast iron skillet will get hot (see the 400 degrees above) and you’ll really not be watching the butter melt as you are making the batter. Clarified butter is the safer choice. You could easily end up with burned butter here. Any other high heat tolerant fat would be fine here as well. 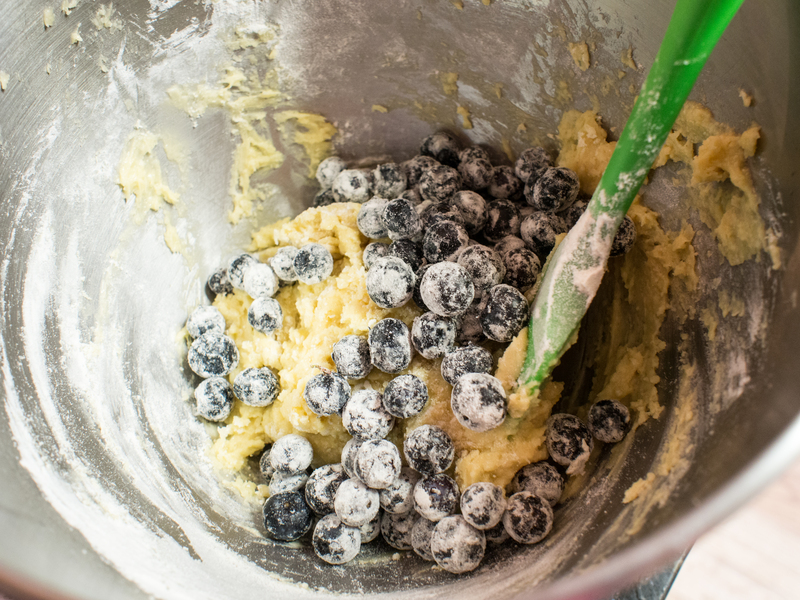 Place remaining ingredients in a mixer and mix at medium speed until well combined. Remove skillet from the oven (with an oven mitt!!!) and swirl butter completely around the pan (again, with oven mitt!!). 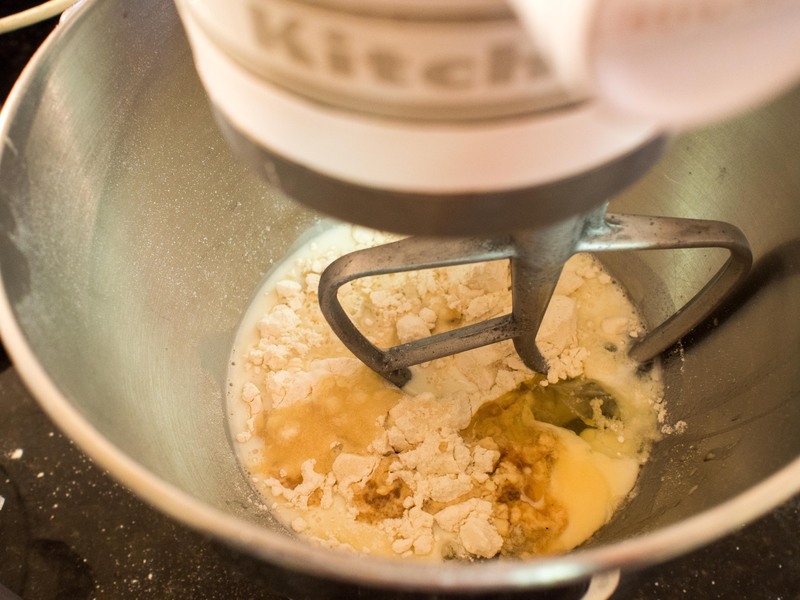 If the butter is excessive, whisk surplus into batter. Pour batter into pan and bake until golden brown and puffy, about 20-25 minutes. Serve sprinkled with confectioner’s (powdered) sugar. Love my Kitchen Aid mixer!! Right out of the oven. CAUTION HOT!!! This entry was posted in Breakfast, Breakfast/Brunch and tagged Breakfast, brunch, dutch baby, easy, German Pancake, kitchen aid on January 9, 2014 by dawn of food.